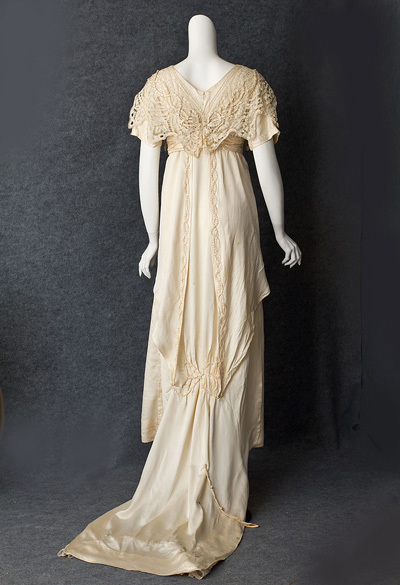 It has hard to find a gown from this period that has not been gutted. 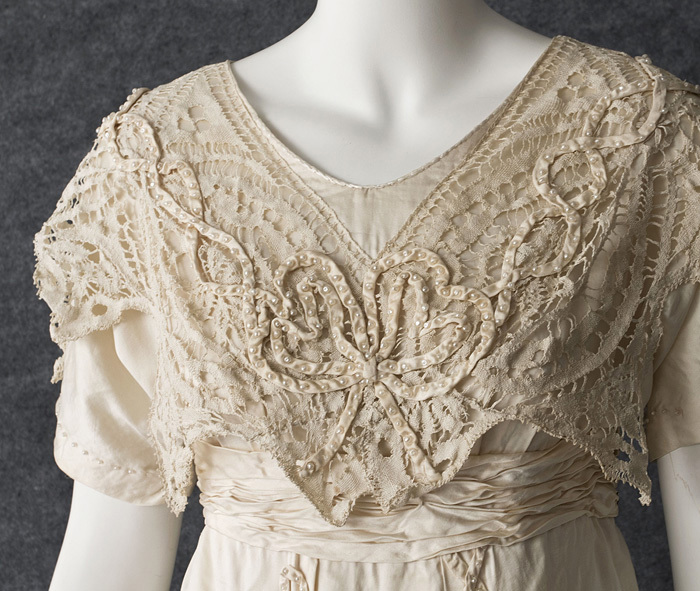 With the original boned under bodice intact, this one, is a special find for the collector of period-correct fashion. 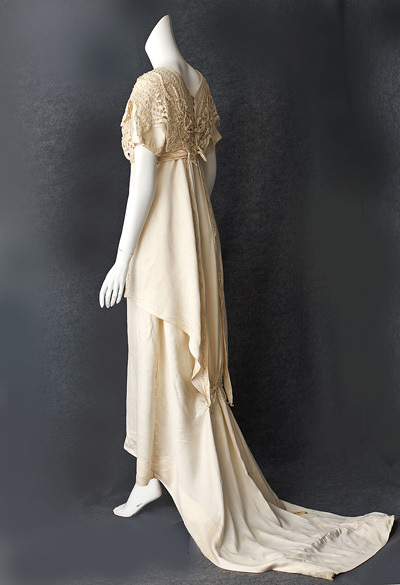 The wedding dress is fashioned from cream colored, light-weight satin. 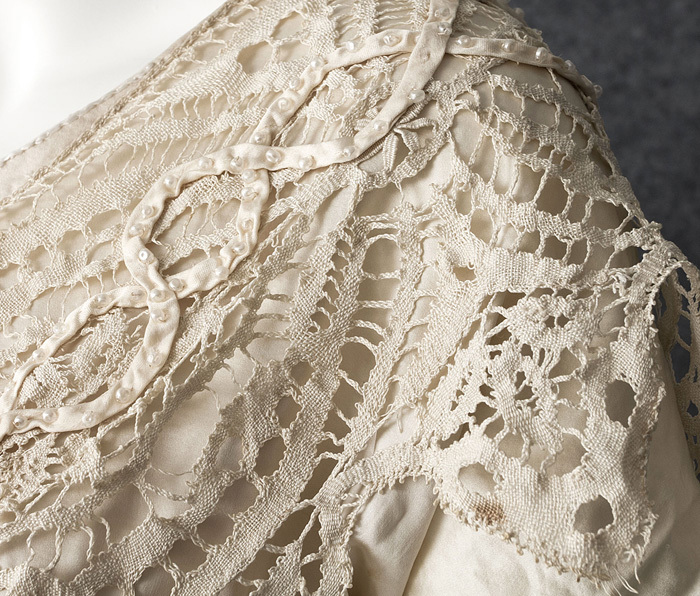 I love the overlay of handmade Cluny lace on the bodice. 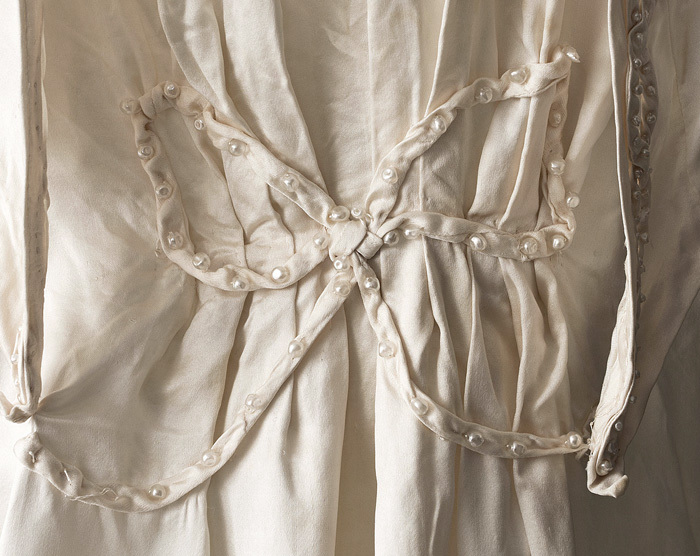 Pearl studded satin tapes form bows on the bodice and twined trim on the skirt front. The style is high waisted with a slender draped skirt and long back train. The train has a satin loop that can be used to raise the train from the floor. The various layers close in back with small hooks. Since the elaborate closure can be difficult to figure out, I will send the dress with the hooks closed. The condition is almost excellent. 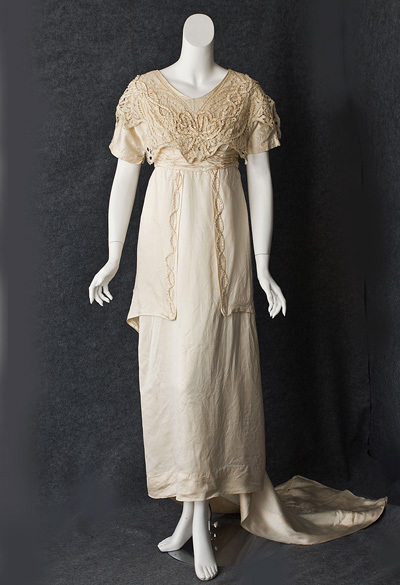 This fab period dress is structurally sound. 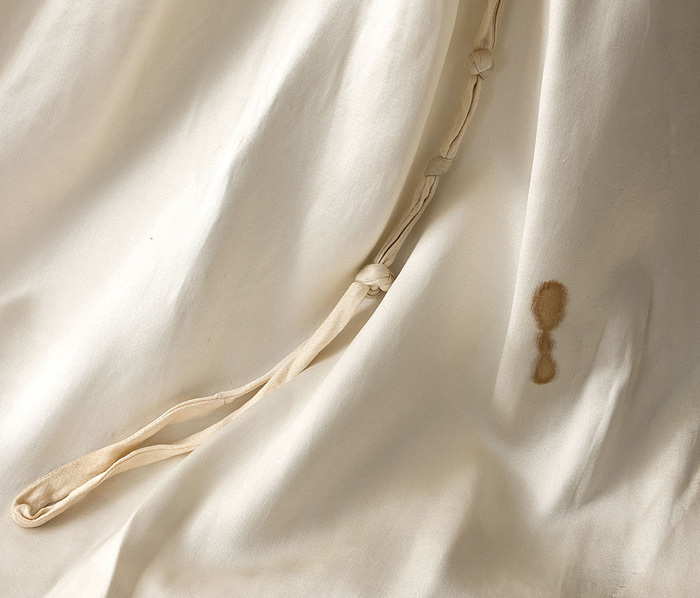 It has one obvious stain on the train, which is reflected in the price. it displays beautifully as is. It measures: 36" bust, 28" waist, 40" hip, 13" from shoulder to high waist, and 54" from shoulder to front hem.